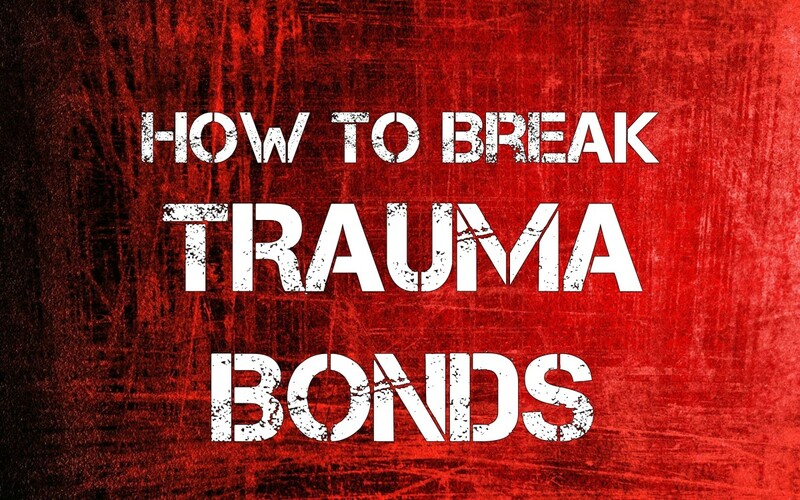 Trauma bonds are exactly what they sound like: bonds that are formed between people by trauma. And they are strong. Unlike love, bonding is both a biological and emotional process. Bonds don't fade over time. You can't "fall out of bond" the way you can fall out of love. Bonding survives, even when you don't love the person anymore, or even like them. These bonds have to be broken in order to move on and heal. It is very difficult to stay away from a person you have bonded with, which is why people stay in abusive relationships even after they know they should leave, and even after they actually want to leave. It's a dirty trick, really. Love is easier to release than a trauma bond, and, an even dirtier trick, the longer a relationship involving a trauma bond goes on, the harder it is to leave. This is especially true when enmeshment occurs, which is the break down of boundaries between people. Enmeshment is when boundaries are so poor, people cannot tell where they end and the other person begins. Why are Trauma Bonds So Strong? Trauma bonds are caused by inconsistency in relationships. Love bombing followed by abuse, followed by more love bombing, for example. That's inconsistency. It keeps people off-kilter and continuously looking for a way to get back the good feelings. This type of dynamic occurs in relationships with narcissists, with alcoholics and drug addicts, and in abusive relationships in general. People who have grown up in an abusive environment are especialy susceptible to this type of thing. It may be that along with, or in the place of, the natural bonds that occur between parent and child, abused children develop trauma bonds with parents and as adults, without a trauma bond to their partner, they are unable to feel satisfied by the relationship. It doesn't feel like love without abuse, in other words. There's no understanding of peace without war. That's likely why we often see people who have narcissistic parents that then go on to marry a narcissistic person. They've been conditioned that this is how relationships should feel, and this is not just a cognitive thing. It's not just a learned behavior. Trauma and upset cause hormones to be released in the body, like cortisol. The honeymoon part of the relationship - where everything is nice - causes more hormones to be released, like dopamine. After years of being exposed to this pattern, your body starts to think that this is how it's supposed to be, and so does your mind. It doesn't really know anything else. You become, for all intents and purposes, addicted to the chemical dump, the excitement, the drama. This cycle is sometimes called an arousal-jag. "Regular" relationships feel less intense, and are therefore often experienced as boring, uninteresting or shallow. It feels like only the abusive person can fill that need, which is why it's so hard to stay away. The excitement and intensity of this arousal-jag is often mistaken for love. It isn't. It's a chemical and emotional pattern your body became accustomed to and then dependent on as a result of abuse and inconsistency. It's about the cycle, not the person. This is one reason why being discarded by the narcissist is so painful. You're stuck in the war with no peace. There's no comedown into good feelings, and after years of conditioning, your body and mind believe they cannot get along without it. Again, it's about addiction to the cycle, not the person themselves. There is often a lot of denial or misunderstanding involved in trauma bonds, but people can prove the reality to themselves by examining how they truly feel. A lot of times, upon examining their feelings honestly, realistically and objectively, people find that they don't actually love the person. They find that because of the abuse they don't respect them, don't trust them, don't like very many things about them, have nothing in common, find their personality obnoxious or unpleasant, don't like the way this person behaves... It isn't possible to love someone you don't respect or trust, and many people find that what they thought was love actually isn't. They realize that it is only trauma bonds and conditioning keeping them in the relationship. This can be a very liberating realization. Once this is acknowledged, it is easier to address the problem of staying in the relationship even when you know it is unhealthy. And yes, that is a problem. It's interesting that we always hear people in abusive relationships of all kinds think the abusive person will change. While that may be true sometimes, or at first, I think most people know inside that it isn't true. They know the person isn't going to change. They may have fantasies or hopes of that, but realistically they know it isn't going to happen. They stay anyway though, because their mind and body are addicted to that next honeymoon phase when everything feels good. The fantasies of change are often just a justification for staying, they are not the reason. Once that truth is confronted, it is a lot easier to be honest with yourself about what's going on and why. This is important because it is absolutely necessary to break through the denial and the conditioning involved here if a trauma bond is going to be broken. 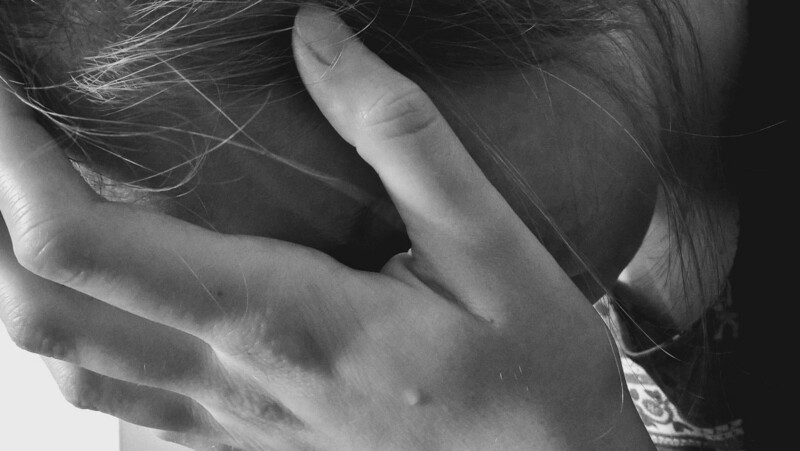 If someone is harming you, if they are hitting you, if they are manipulating you, if they are setting you up to be embarrassed or attacking you without provocation, if they are destroying your peace, if they are undermining your confidence, if they are gaslighting you, if they are saying terrible things about you to your children or your friends and family, if they are accusing you day and night of crazy things... they are abusing you. This needs to be faced, truly faced, if you are going to be able to understand the situation. Yes, it is abuse. Yes, it is as bad as it seems. There is no excuse for it and nothing that makes it OK or acceptable. It doesn't matter if this person is nice sometimes. Ted Bundy worked at a suicide hotline, saving lives. You probably wouldn't recommend anyone go on a date with him. Anyone who abuses you doesn't love you, and you probably don't love them. Abuse destroys love, and it doesn't take that long either. You may have once loved them, but likely don't anymore if the abuse has gone on for a while. You may be locked in a trauma bond with them, and they are just as addicted to the abusive cycle as you are. This is one reason they are constantly pulling at you with their siren songs of hope and change and love. It's not just their desire to control and their fear, though those things are part of it. It's their addiction to the cycle. That's also why the abused person gives in and stays. It isn't that they believe the abusive person's proclamations of change and remorse. It's the cycle. It's that feeling when the madness is over. It's the return of what feels like love. It's like a guy beating his head into the wall. Someone comes up to him and says, "Why are you doing that?" and the guy says, "Because it feels so good when I stop." That's the cycle. What are Some Signs That You are Experiencing a Trauma Bond? Some signs you may have a trauma bond would be that denial we talked about, where the person has failed to keep their promises or do what they've said yet you continue to believe them, you feel stuck in the relationship and unable to detach from this person even though you don't want to be in it anymore or don't love or even like the person anymore, you have stayed in the relationship past the point where you consciously know you shouldn't have, and the desire to reunite with this person feels irresistible when you do leave. It's so painful it's like an amputation. Ending relationships is often painful but if it is so painful that it feels like it's going to destroy you and you cannot bear it, something is wrong with that. Let me say right here that, although there are some similarities, trauma bonds are not codependency. They are a different dynamic. The way to break a trauma bond is by consciously deciding to live in reality. It's about confronting your own denials and illusions. That means facing the truth of the situation, whatever that is. This person is abusive and they are not going to change. It doesn't matter if you hope they will or fantasize that they might. They are not going to. Their motives, reasons, intentions and excuses don't matter. It isn't about them. It's about the truth, and the simple truth is that it isn't going to change. Another truth you need to face may be the truth that you don't love this person anymore. It's almost certainly the truth that they don't love you and cannot be the person you need. It's OK to grieve these things; they need to be acknowledged and they are going to hurt because you are losing something valuable to yourself. But you can't let that stop you from facing these things down. It's only temporary. It's time to stop waiting and stop living on hope. Try to make an effort to live in real time. Feel how you feel now. This is affecting you now. It is hurting you now. Don't let your mind just brush that off or deny it in favor of hopeful thoughts for the future. This is the future. This is the outcome of those same hopeful thoughts you had last week or last month or last year. How did that work out? Is it any different? In the same way, don't overburden yourself with thoughts of tomorrow. Just get through now. The idea of what you have to do or face tomorrow can be scary, so live intentionally and focus the present for now. It really is like breaking a drug addiction or an obsession, and the best way to do that is to live one day at a time, making choices that only work in your best interest. Is it in your best interest to talk to this person? Regardless of how you feel, what does reality say? In another parallel to drug addiction, it's important to learn that the thing that makes you feel better temporarily is hurting you in the long run. Feelings are not permanent. They will change, and you will feel better. Is giving in worth all the work you've done just for temporary relief? Relief that isn't even real and won't last? Evaluating things this way and practicing self control go a long way toward helping you stay on track and break away from the cycle. Because enmeshment often occurs with trauma bonds, it is very important to create and enforce strong boundaries. Boundaries are how we teach other people to respect us, and how we respect ourselves. "I will not deal with people who are disrespectful to me,"
"If my partner hits me, I will end the relationship." "I will remember that no one is perfect." "I will not blame others for things I am responsible for because I take ownership of my life. I am not helpless." Breaking habits and changing patterns is hard, especially when there is a biological chemical component in the situation, but it is very possible. Using a journal can help, and writing your feelings down. It's important to acknowledge them. Yes, you may want to see this person or speak to them. That's normal in this situation, even if it doesn't seem to make sense. So acknowledge all of your feelings and get them out. You can also write down the fantasies and illusions you had about the relationship, and then write down the reality. Fantasy: I thought we were going to get married. Reality: This person was a serial cheater and cannot commit to one relationship. Fantasy: I thought if they loved me enough, they would stop abusing me. Reality: This person is abusive and does not understand love. Fantasy: I thought my mother would care more about me if I always did what she wanted. Reality: My mother is a person who does not understand how to care about somebody or appreciate when they care about her. In this way, you drive the reality home to yourself so that denial and rationalizations cannot get a foothold in your thoughts. This is often painful, but many times when you acknowledge and state these things, the hope and illusions you have carried around no longer have the power over you that they once did. Trauma bonds take time to break, as they took time to form, but don't get discouraged. Every day you can console yourself with the knowledge that what you are doing is right and healthy. The chemical component also takes time to break, but in time it can be repaired as well, when you learn to see these things for what they are so that you don't equate the intensity of trauma with the feeling of love anymore. It is up to you to break the cycle in your life so that you can stop engaging in relationships that are hurting you, destroying your peace and undermining your self-worth. Once you've broken the trauma bond and begun to heal, you can look forward to the future and start building a healthier life with healthier focus and connections. The cycle of trauma bonding becomes so ingrained in a person's life partly because of their inability to recognize what love is. That's not your fault, so it's time to fix it and stop using outdated programming that you don't need anymore. Start showing love to yourself and stop accepting less from others. You really do deserve better. I found this website and article both exactly when I needed them! Your articles, (especially this one) explain a lot more about the topic than ones I've read before. I also love that you point out the reality that people like this will not change. I also didn't know exactly how a narcissist views the world differently. I know that all the information about the topic, as well as your realistic tone are really going to help me move past this period in my life. I've left him 5 times in the last 9 months and I've recently had a breakthrough where I've realized my denial. I am determined that with the help of my counselor, making positive life changes, and becoming educated, I will not be going back. My abuse was not physical, but I had just about every single thing that is associated with narcissistic abuse. I've been getting better over the past few years after going no contact but still couldn't get him out of my head. This was the first article I've read that explains what has happened to me so clearly. I now understand this trauma bond thing. For the first time, I can acknowledge that I do not love him and maybe I never did. Thank you dearly wise Author. You literally saved me. 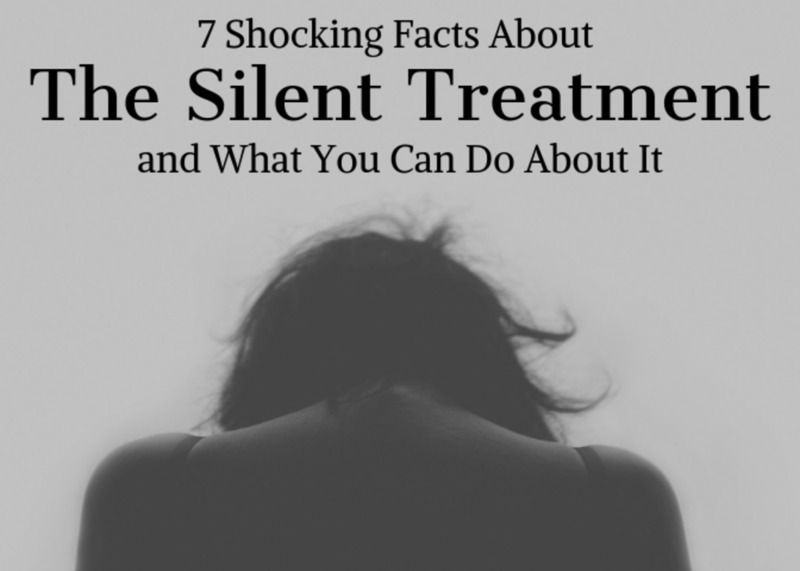 This was very informative for i havd a great friend who was in a abusive relationship. And unfortunately the way he acts and feels on some occasions you can tell its because he is still hurt from the abusive behaviour that was done to him. Yes,he needs to break the cycle. Any abuse weather its mental or physical or sexual or a combination of these. Really screws- up a person and i should know for i was sexually and mentally and physically abused . This is an excellent article, well said. It helps me understand the dynamics at play even further. It is both a physical addiction as well as a psychological one, in which we are trained to adhere to for the good times, the good fix. But yes, I know it can be broken and that has been my quest to help myself and other people caught up in this trauma bond and Stockholm syndrome. What I need to see next is what we go through as we go NO CONTACT, what to psychologically and physically expect. How to heal, I know journaling is very important. I know living in reality, facing what is and not what is hoped for, which is what I did live for, and yes, I do not love him and he also is addicted to the abuse syndrome, the tight highs and lows the drama. I want desperately to extricate myself from this and move forward. To heal and become a healer in time and use my knowledge to help others. I do thank you with every beat of my heart. Reading your article walked me through the last 11 years of my life. The excruciating past, the intentional things done to cause pain and heartache. The emotional and mental abuse. The words used to tear you apart. No significance, what’s his is his, my name was on nothing. My kids and I kicked out of every place he had me choose for “us” to live in. He bought our/his first home he had me choose. 5 bedrooms. He kicked my children and I out a week before my bday & Christmas and moved his childhood friend in and gave my daughters room to his 2 daughters after he threw all my daughters stuff into a trailer in the backyard. This pain. What I’ve lived through is unimaginable. Nothing will change, no future, no marriage. You’re just their punching bag, their joke, and they enjoy every second of it. They come back and you go back, without him I have withdrawals, when I go back I get my fix like an addict. I love him, but I hate him. I have flashbacks, when we separate for weeks I have flashbacks of things that broke me, things I blocked out. I’m struggling, I know I deserve better, I will no longer let him deprive me of my wants and needs, a future I want. But... I wait for him to come back because he always does. No matter what he’s done, I never forget, but I ALWAYS go back. What do I do if I can’t go no contact??? We share a son that’s almost 5 years old. It makes matters worse. Brilliant reading. On,y today I realised that I have to be connected to someone to feel whole. From there I began to see that I never bonded with my mother, well I bonded but it was the trauma bond. 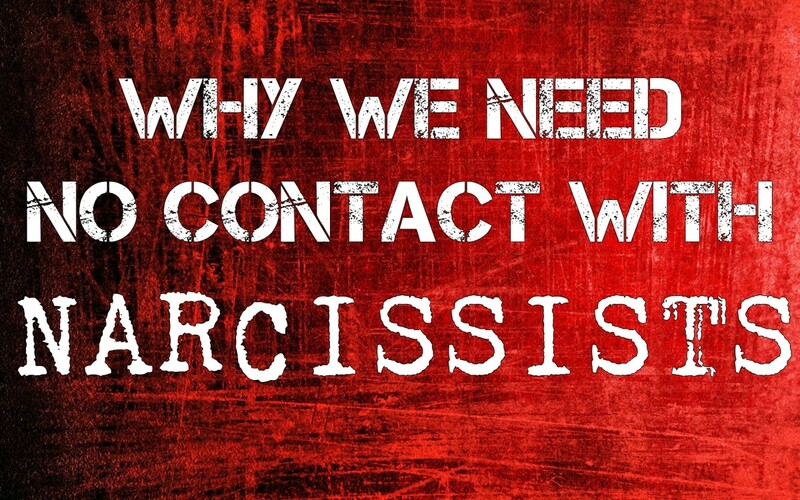 I have been no contact now for over a year from a narcissist and this realisation has raised its head. I love your vids and also I have watched many others and they have all helped apart from still going into fantasy about the narc....fantasies of getting through to him, but that will dissipate. The big job I have now is connecting with my self. Find out who I am. Thank you for your dedicating your time and wisdom with us all. Many many thanks. Your article was so enlightening and empowering. I broke off a 6 year relationship with a narcissist 3 months ago. I had enough and walked away. Sadly I still am reeling from the effects of the trauma bond but I have strictly adhered to No Contact. I long for the day I can fee whole again and not as if he still has a hold on me but as your article states, it takes time and I need to let it take its natural course so I can truly feel free. I appreciate your article so much and knowledge is power! Keep up the great work! I was in a trauma bond with my ex for 25 years. I am now divorced and free of the abuse. I lived in the cortisol/dopamine roller coaster every day, but not any more. I am healing. This article is excellent. Thank you. I can not express enough gratitude for finding your post. This says it all, all I've ever needed to read in order to get a grip on my life. Thank you so very much and I wish anyone who is currently going through this, all the strength and self love required to move on!!! In my 17 year marriage, the honeymoon phase was almost completely non-existent. A honeymoon was him giving me the silent treatment, which was nice but not "love" inducing. I also developed a shopping problem (addiction?) during the relationship. Could the addiction have taken the place of a honeymoon? Could the addiction with all its ups and downs kept the trauma bond alive? This is everything. This is light in the middle of complete darkness. Thank you. This was so helpful. I just found out about Soul Ties called Trauma Bonds....thank you so much. I have a lot of work to do but at least I know the why to always going back and all the crazy things that have gone on for almost 3 years! Thank you Jesus. This is probably the best article I have read on the subject of breaking free from a narcissistic partner. I really needed this reality check. Your article is very enlightening... Thank you!